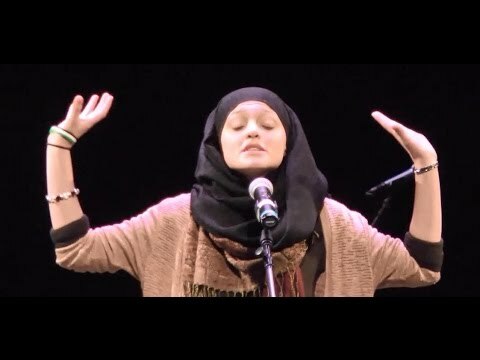 Her life seems to have changed overnight in 2012, when she won the Brave New Voices International Youth Competition with a poem about Syria. Later she said, her time in Syria helped her understand the suffering of the people there, especially the rural farmers and children … but she was also aware of the freedoms she had, living in a country like the U.S. which allowed her to become an activist on her Syrian people. (Mary Jo Brooks) „This is for the Ladies“ tells us about the mindset of this energetic young woman. She wears the hijab as a political statement. 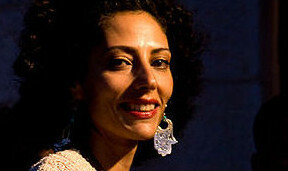 The „Syrian Revolution“ of 2011 has motivated many Syrian-American poets to tackle heavier topics. In „My Grandmother’s Farm“ Amal Kassir reflects on what the reaction of the regime meant for her Syrian family. There is sadness but also a belief in the resilience of her people. Campano, Eric. 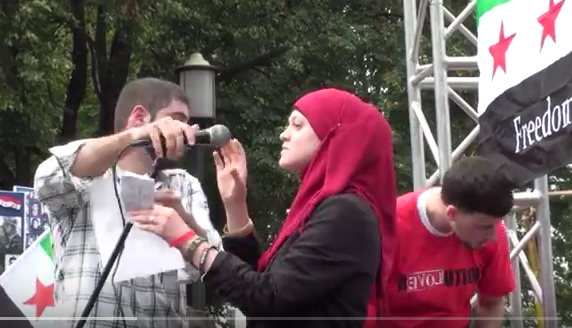 “’People become the poem‘ – Interview with Syrian-American Poet Amal Kassir.“ Partheos (Sept 15, 2013). Fleishmann, Jeffrey. “’Poetry is a witness‘ to suffering wrought by Syria’s civil war.“ Los Angeles Times (Oct. 26, 2016). Tyson, Josh. „‚It’s About Time‘: Q&A with Amal Kassir.“ TEDxMileHigh (Sept 12, 2016).